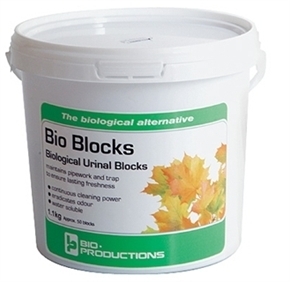 Powerful biological cleaning action, for clean, fresh urinals and pipework. The water-soluble block delivers a scale preventing cleaning solution each time the urinal is used. Use Micro Clean & Bio Blocks for an odour free washroom! Biodegradable.